I presided at the Saint Patrick’s Day Eucharist in Saint Mary’s Church, Askeaton, this morning, and was invited later in the day to be part of the reviewing party at the Saint Patrick’s Day Parade in Askeaton. 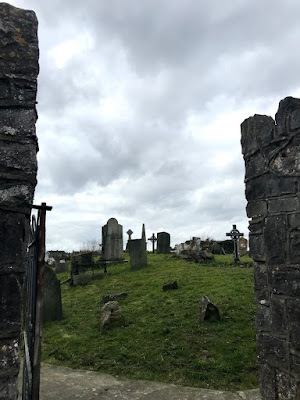 But earlier this week, while I was thinking about this year’s Saint Patrick’s Day, I visited Saint Patrick’s Church on Clare Street, Limerick, and visited the old cemetery and well in the Garryowen area that are associated with Saint Patrick. There were five parishes in the mediaeval city of Limerick: Saint John’s, Saint Mary’s, Saint Michael’s, Saint Munchin’s and Saint Patrick’s. As one of these five original mediaeval parishes, Saint Patrick’s once included the old parishes of Ballysimon, Derrygalvin and Kilmurry (now Monaleen). Saint Patrick’s Well in Singland was once in a small field but is now surrounded by housing estates. I found it half-way along on Saint Patrick’s Road, on the west side, at the bottom of the hill on which Saint Brigid’s Church stands. Local lore claims that this well is where Saint Patrick baptised Cairtheann, the son of Blatt and the Chief of the Dál gCais, in the year 440 AD. According to the legend, when Saint Patrick was building his church, he could not find any water to help in the project. He prayed for water and the well sprang up. It is claimed that the print of his feet can be seen on one of the rocks at the well, and there was supposed to be a rocky bed where Saint Patrick slept. It is claimed that the water cures sore eyes, although looking into the well this week the water looks more likely to cause infections than to cure anything. A statue of Saint Patrick was erected at the well in 1904 by the priests and parishioners, and a plaque behind the statue lists their names. 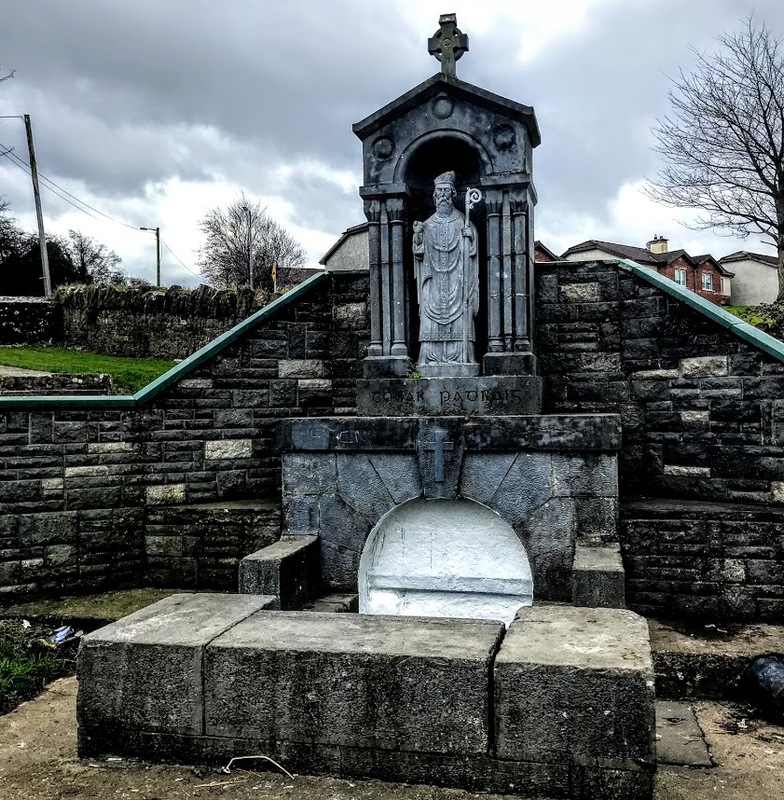 But over a century later, while the grass and the paths around the well are well maintained, the water in the well is filthy and Saint Patrick’s mitre has been broken, not standing the test of time over more than a century. 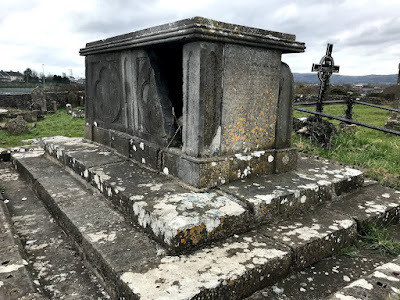 On the top of the hill, Saint Patrick’s Church may have stood on the site of Saint Patrick’s Graveyard, next to Saint Brigid’s Church, which dates from the 1970s. 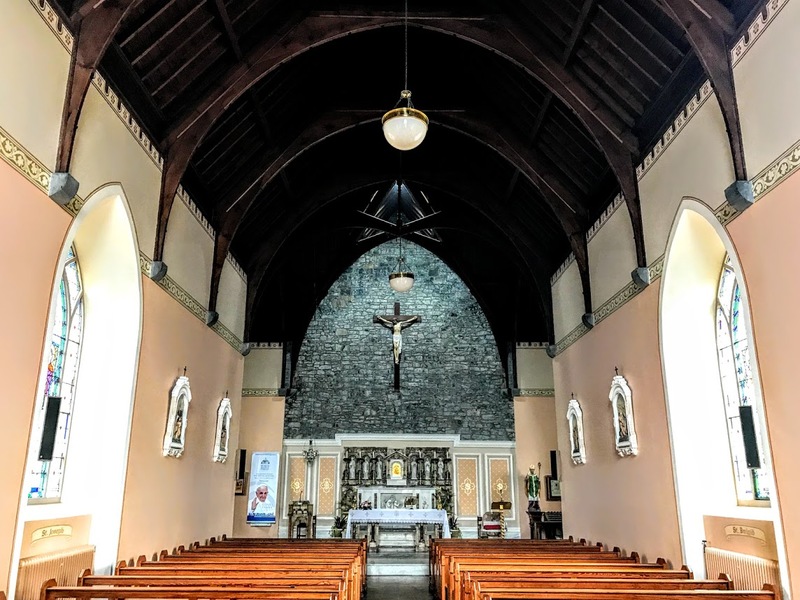 Saint Patrick’s civil parish was situated on both banks of the River Shannon and was distributed over three baronies in Co Limerick and Co Clare: Bunratty Lower, Clanwilliam and the barony of the City of Limerick. There was a church on the site in Singland from at the mediaeval period. But it was in ruins by the 17th century. The Down Survey Map of 1683 shows a round tower on the site, but this had fallen by the early 19th century. By 1711, Saint Nicholas’s Parish in the Roman Catholic Church had been joined with Saint Patrick’s. The Harold family built a church in Pennywell in 1750 to serve the needs of Roman Catholics in this area. Meanwhile the old Saint Patrick’s. graveyard continued in use. The oldest identified headstone was erected by John Sexton for his father who died in 1770 and his mother who died in 1771. The tombs include the crumbling and part-shattered tomb of John Young (1746-1813), Bishop of Limerick (1796-1813), who established Saint Munchin’s seminary in 1796. Saint Patrick’s Church on Clare Street, which was built over 200 years ago in 1816, replaced a Penal Chapel on the Rhebogue Road. The church was built on Clare Street in 1816, while Father Patrick McGrath was Parish Priest. Bishop Charles Tuohy of Limerick, dedicated it to Saint Patrick on 25 August 1816. This is a simple, but well-built example of a pre-Emancipation church and it claims to be the oldest purpose-built Catholic church in the city that is still in use. It is a simple nave and transept or T-plan, gable-fronted stone church with a bell-cote and a wooden ceiling. The ceiling is high and large wooden beams hold up the ceiling of the church. The church was renovated in 1835. With its good masonry and fine roof, it is an important part of the streetscape in this area of Limerick. The central window at the front gable has stone moulding. Below is an ogee-headed front entrance with a clustered, carved limestone bull-nose moulding surmounted by pinnacles with replacement stone finials. Inside the church, there is an elaborate timber roof with a groin vault. Inside the church, there is a stained-glass window of Saint Patrick over the main entrance to the church, and stained-glass windows depicting the Sacred Heart, Saint Joseph, the Immaculate Heart of Mary, Saint Brigid and Saint Ita. There is a large crucifix on the stone wall above the high altar, and the reredos, donated by the Presentation Sisters has six statues, three male saints and three female saints: Saint Columba, Saint Munchin, Saint Patrick, Saint Bridget, Saint Ita and Saint Lelia. The front of the altar is carved with a Judgment scene and a mosaic on the floor in front of the altar depicts the Lamb of God with a flag. To the right of the altar there is a large, colourful statue of Saint Patrick. To meet the needs of the growing population in the area, Bishop Henry Murphy created the new parish of Monaleen in 1971 from the area in the west of Saint Patrick’s parish. Saint Brigid’s Church, on the hill off the N7, was dedicated by Bishop Jeremiah Newman in 1975. The old graveyard at Saint Patrick’s, on the hill beside Saint Brigid’s, is now closed to burials. Saint Patrick’s Church celebrated its bicentenary two years ago in 2016.